Buy Online Now! 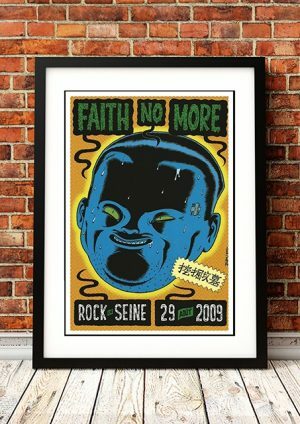 Classic Faith No More Band Posters and Memorabilia! In a similar vein to fellow Californians, RED HOT CHILI PEPPERS, Bay Area-based thrash-funk, rap-metallers FAITH NO MORE polarised the possibilities of mainstream stadium-rock, albeit with more than a smidgen of skepticism and cheek. Whether one was roped in to their hard-rock lair by way of the head-banging `Epic’, or by their schizoid UK Top 3 crossover cover of The COMMODORES’ `(I’m) Easy’, well, that was indeed one’s perogative, but as sure as eggs is eggs, FAITH NO MORE brought life and soul to every party of the naughty 90s. Formed in 1981, by the rhythm section of Billy Gould (bass) and Mike Bordin (drums), the band had changed their name midway through recordings from Sharp Young Men to FAITH NO MAN – “the man” stemming from lead singer/guitarist at the time, Mike Morris; Wade Worthington was the group’s keyboard player when they recorded their inaugural platter, `Quiet In Heaven’, at producer Matt Wallace’s parent’s garage, toward the fall of ‘82. Breaking away from Morris and Worthington, Gould, Bordin and newbie Roddy Bottum (keyboards) founded FAITH NO MORE, duly auditioning for vocalists (including COURTNEY LOVE), before settling with Chuck Mosley and, finally, a guitarist: Jim Martin. 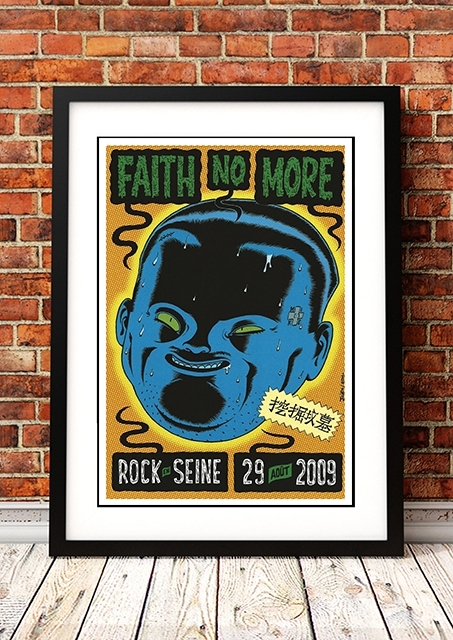 We stock some awesome Faith No More Prints.